As at 3:30PM on Wednesday 3 October we have suspended registrations for the 2018 Got Ancestors?! Seminar with CeCe Moore – we have reached the capacity of the room when it is set up in “Classroom Style” with people seated at tables. We are checking for possible other seating arrangements that might get some more people into the room, and hope to know about this tomorrow (Thursday 4 October), but for now Registrations are suspended. I will accumulate a wait list on a first come, first served basis. If you want to be added to the wait list to be advised if more capacity is available, please send an eMail to Seminar@GotAncestors.com. 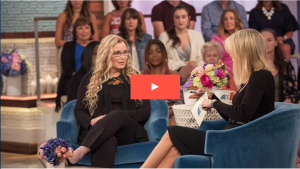 The video linked here is from the Today Show, and features our October 13 Speaker, CeCe Moore talking about some of the recent cold case murders she has solved using genetic genealogy and traditional genealogy to point investigators in the right direction. You can register online for our Seminar at http://GotAncestors.com/registration/ The seminar runs from 8:30am to 4:45pm on Saturday, October 13th 2018. The title of this year’s seminar So then what did you do? DNA! comes from a scene in one of last season’s episodes of Finding Your Roots where Dr Henry Louis Gates Jr and CeCe Moore are discussing the research, and Dr Gates asks CeCe Moore what the next step would be. So then what did you do? DNA! Image provided by CeCe Moore. There will be a few days delay in getting the paper registration ready, but please use the online system if you’re reading this. We’re delighted to announce that the speaker for Western Michigan Genealogical Society’s 2018 Got Ancestors?! Seminar is Your Genetic Genealogist – CeCe Moore. 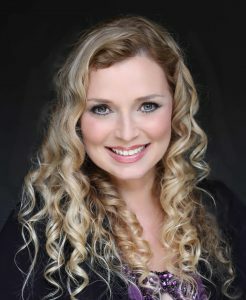 CeCe Moore is well known for her appearances as the genetic genealogy consultant on television series like Finding Your Roots with Henry Louis Gates, Jr., as well as on other TV shows where she has appeared as a genetic genealogy expert. She is a leading proponent of genetic genealogy education, and is a co-founder of the Institutor Genetic Genealogy. You can find her blog at Your Genetic Genealogist and follow her on Facebook. We will again be at The Salvation Army Kroc Center on south Division Avenue. This will be CeCe’s first visit to Michigan, so save the date – Saturday, 13 October 2018 for a great day of learning. Judy G. Russell, JD, CG, CGL arrived in Grand Rapids on Thursday evening, and today we’ve had a great day visiting downtown to check out the venues of NGS 2018 being held in Grand Rapids, a visit to the giant horse at Frederick Meijer Gardens and Sculpture Park and then out to the lakeshore to see Lake Michigan. Registration is now closed, however you can still attend tomorrow’s seminar with Judy. Just come to The Salvation Army Kroc Center at 8:30 and you can register there on the spot for $49. You will need to provide your own lunch now as it’s too late to take any more orders. Thanks to generous support from the genealogy industry we have a great line up of Door Prizes for the Got Ancestors?! – Legal Matters! seminar this coming Saturday. You can’t win if you don’t attend!!!! It’s not too late to register yet – still a couple of days – and if you register by Friday 13th October evening you’ll still be able to order a lunch from Grand Traverse Pie Company. See the Registration link on the right of this page, or click here. Registration is now open for our 2017 Annual Seminar Got Ancestors?! – Legal Matters! with Judy G. Russell, JD, CG, CGL. You can register online here (preferred), or download the form from here to fill it out and mail it in with payment. We’re back at The Salvation Army Kroc Center at 2500 S Division Ave, Grand Rapids MI 49507 for 2017. This year you can either bring your own lunch to eat, or we will be having boxed lunches catered in by Grand Traverse Pie Company for $11 each – make your choice when you register. We’re excited to announce that the speaker for this year’s Got Ancestors?! 2017 Western Michigan Genealogical Society Annual Seminar is The Legal Genealogist – Judy G Russell, JD, CG , CGL. We’re looking forward to welcoming Judy to The Grand Rapids Salvation Army Kroc Center on South Division Avenue. Cyndi Ingle arrived in Grand Rapids last evening, and we’re all set to have a great weekend. The online registration system is now closed – if you still want to attend it’s not too late – send an eMail to Seminar@GotAncestors.com to let us know and then arrive at the Prince Conference Center at Calvin College by 6:30pm on Friday or 8:30am on Saturday.